Ghibli packs a punch in this town. The name alone can bring out huge crowds and has the last time a Ghibli film was a part of AFI Fest when The Wind Rises was shown for the first time to LA audiences. 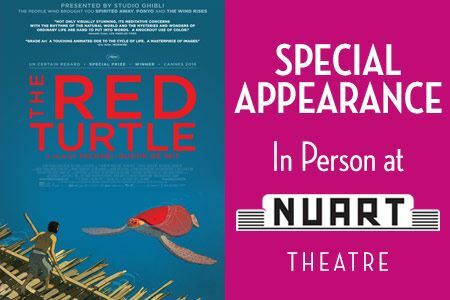 A new film is coming from Ghibli this AFI Fest about an animal that is not teenage, mutant or even a ninja. It's just a big red turtle. The new film is not from Ghibli alone, it wasn't directed by Miyazaki even, but is debut of director Michael Dudok de Wit. Ghibili is but a part of a three country group that got the film made. 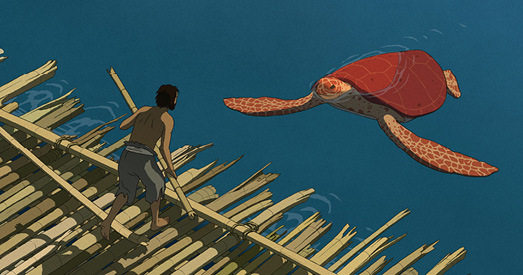 Other than Japan, you have France and Belgium in the mix giving us the story of "The Red Turtle." 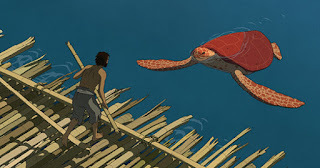 The Red Turtle is about a man trapped on an island by a giant red turtle and that's not even the part that gets weird. The film has had mixed reviews with critics warning that there is little animation and those who watching need to be able to open up to a slow moving story. With a turtle involved you would think you would need too. 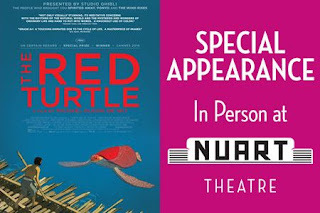 Other than the two free screenings taking part of AFI fest listed below there is a special third one that promises the director in person for a Q&A at the Nuarte on the 19th. We don't doubt there's a high chance the director will be at one of the AFI Fest screenings too, but if you want it guaranteed we suggest going for the third date.